On-stage romance, drama, and comedy express the real-life passions of husband and wife theatre team Anna Roberts Ostroff and Alan Ostroff. 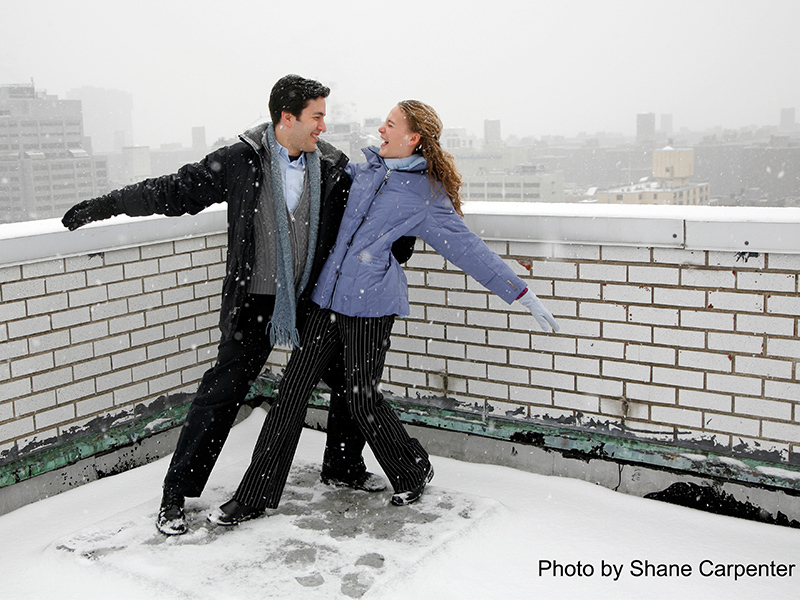 Early in their careers, Anna and Alan's passion for performing led them to theater jobs all over the country. For a couple, acting in more than one or two plays together is uncommon, but Anna and Alan kept getting hired together by different theatres over the course of four years. It was as if fate was re-uniting them for additional productions. 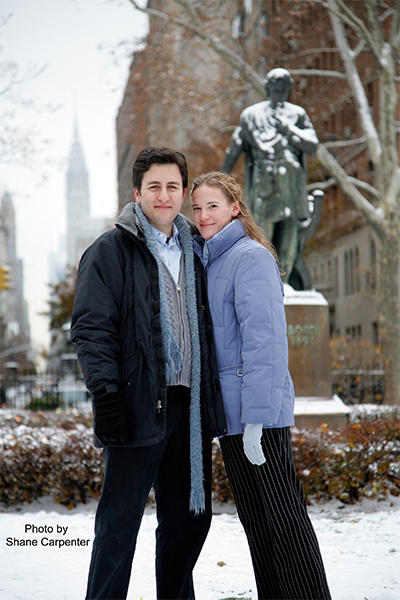 After performing in shows all over the country, the couple developed their skills as producers, directors, and writers in New York City. In New York, Alan wrote and produced his first play, Tradition. The backstage Jewish comedy was one of the top grossing plays at the 2006 NYC International Fringe Festival. In their biggest triumph of all, Anna and Alan married in 2008, in Anna's hometown, Annapolis, MD. The producers now bring the Broadway and off-Broadway experience to local productions of many wonderful shows to come. ANNA ROBERTS OSTROFF and ALAN OSTROFF are a Tony Award winning husband and wife team who were the Lead Producers of the Broadway Revival of the classic DAMES AT SEA at the Helen Hayes Theatre. They co-produced the Broadway Revival of PIPPIN, and serve as the Co-Producing Artistic Directors of Infinity Theatre Company in Annapolis, MD. Anna & Alan studied theatre at NYU Tisch School of the Arts, and spent several years performing professionally all over the country. Their producing career began with the NYC Fringe Festival’s 2006 presentation of TRADITION, written by Alan, which was one of the highest-grossing shows in that year’s festival. This was followed by many NYC benefits, starring such performers as Aaron Lazar and Alexander Gemignani, and Theatre for Young Audience tours, including PigPen Theatre Co.’s THE MOUNTAIN SONG - exclusively for the non-profit Arts For All, of which Anna is the Founder and Executive Director. Anna and Alan have associate produced two Cardinal Theatricals shows in Minneapolis, MN - the hit runs of RENT and THE ROCKY HORROR SHOW staged at the Lab Theatre. 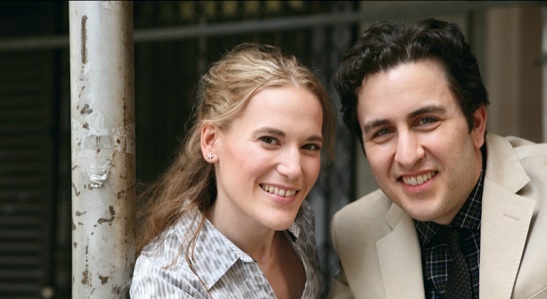 In 2010, the couple formed Infinity Theatre Company, a regional theatre bringing NYC talent to Annapolis, MD for a summer season of musicals, where they have since set the standard for excellence in local entertainment.